Hello! 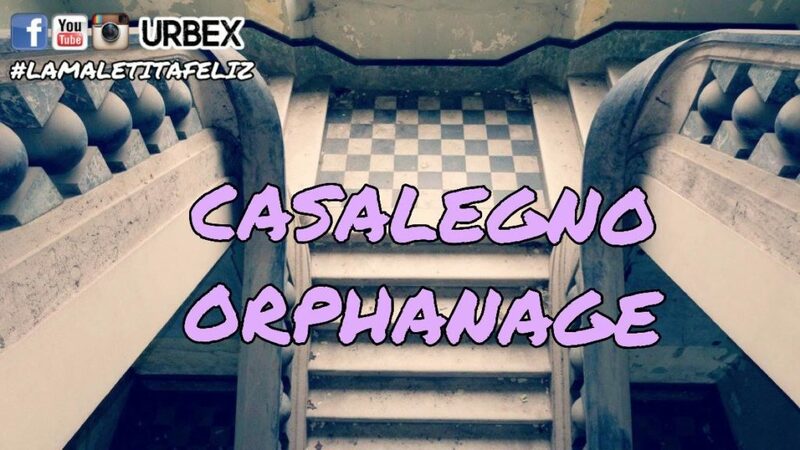 In this urban exploration I take you to the Casalegno Orphanage, built by the homonymous religious man. Beyond the initial architectural barrier, we find what was once the laundry: in fact, there are still the sink, the washing machine with the heavy cast iron hatch and the dryer. Even here they are underground, but they are inaccessible because they are totally flooded. If you want to go in, I suggest you wear a pair of high rubber boots. The most beautiful part of the ground floor is undoubtedly the immense marble staircase richly decorated with spheres and ornaments. Unfortunately, the large window next to it was vandalized and completely destroyed, so much so that only the skeleton remained standing. In the adjoining room there is the carpet marked with adhesive tape: in our opinion it was a time used for recreational activities such as the bell or other coordination games. The most beautiful surprise is on the second floor and is the chapel the altar and the two angels painted on its sides still in good condition; it is not so instead for the ceiling with the decorations unfortunately faded from the passage of time. Another well-preserved memory of the second floor are certainly the washbasins dating back to the 30s from the solid cast-iron structure, whose respective taps have however been taken away. 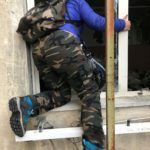 For the recovery of this building a project had been presented to transform it into a community for disabled young people, but due to lack of funds it has not yet been realized. During the last few years he had become a boarding school where students returned home on weekends. If you wanna come into this building you have to climb and enter through a side window, because all the doors have been securely sealed. In this case nothing is more true than a famous Italian saying : “You close the door and I enter the window”.